You will feel guilt. It’s unavoidable but then I think you wouldn’t be much cop as a parent if you didn’t. You feel guilty for leaving them, guilty if you arrive to pick them up and they are the last child there, guilty if you forget that it’s the day they needed to bring a teddy bear in for the teddy bear’s bloody picnic… The guilt will get easier but will never go away. I think if you accept the guilt (and it’s self imposed guilt, NOT guilt imposed by your mother in law, health visitor or smug rich yummy mummy ‘friend’) then things get much easier. Remember you are entitled to go back to work and pick up your career if you want to. If you’re like me you will have worked damn hard to get where you are. You had a baby, not a lobotomy. Your child will probably cry. You will definitely cry. For me the first week was the worst. After spending every day together for nine months it was such a wrench not to see Willow all the time and I was constantly wondering what she was doing and if I was missing any of her milestones. Cue lots of tears in the car or toilets at work. 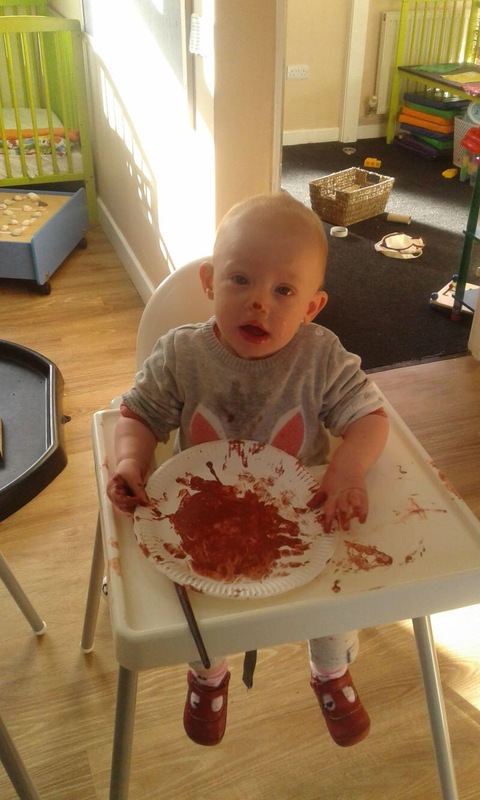 The great thing is that her nursery provide me with a diary of her activities every day – what she eats, when she naps (that bit is often blank), even the contents of her nappy. They also send me pictures so I feel like I know what she’s been doing and can comment or ask questions if I need to. Tip: Don’t call nursery to see if your child is ok because you are guaranteed to call the second they have just started crying which will set you off again. Previous Post Let’s talk about Flex! Next Post I love coffee! Although I’m leaving my baby with family when I go back to work, I know the guilt and the tears will be just the same!